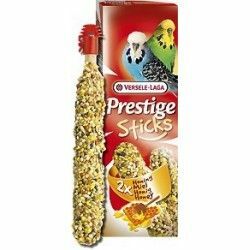 Snacks for exotic birds Versele Laga Prestige Sticks are delicious sticks cooked in the oven intended for your pet to be entertained and be distracted at the same time that it is powered with a high quality product that can help you to complete and make more varied your diet. 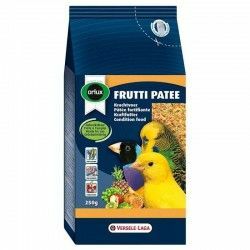 Delicious for finches, are made with exotic fruits such as pineapple, banana, orange and mango, among other ingredients. 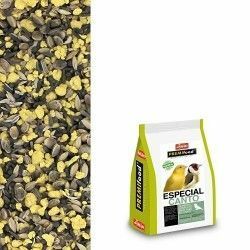 These treats for exotic birds are manufactured under the supervision of veterinarians and nutritionists and contain ingredients that are added newly collected so that they retain all their nutritional properties. Give your pet added nutrients such as vitamins, amino acids and minerals so that you are more healthy and happy. 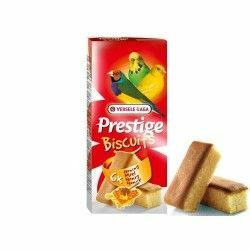 Bars Versele Laga Prestige Sticks come with the clamp "Magifix" that serves to place them in their cage and let you have fun with this delicious treat. With prizes so you'll get to strengthen the ties of affection between you and your pet. 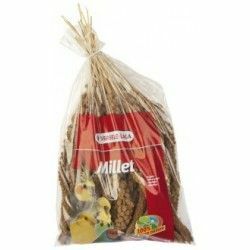 These delicious snacks for birds come presented in a pack “freshpack”, that preserves completely the air, light and moisture, so that they retain their crunchy texture, aroma and taste in an optimal way. 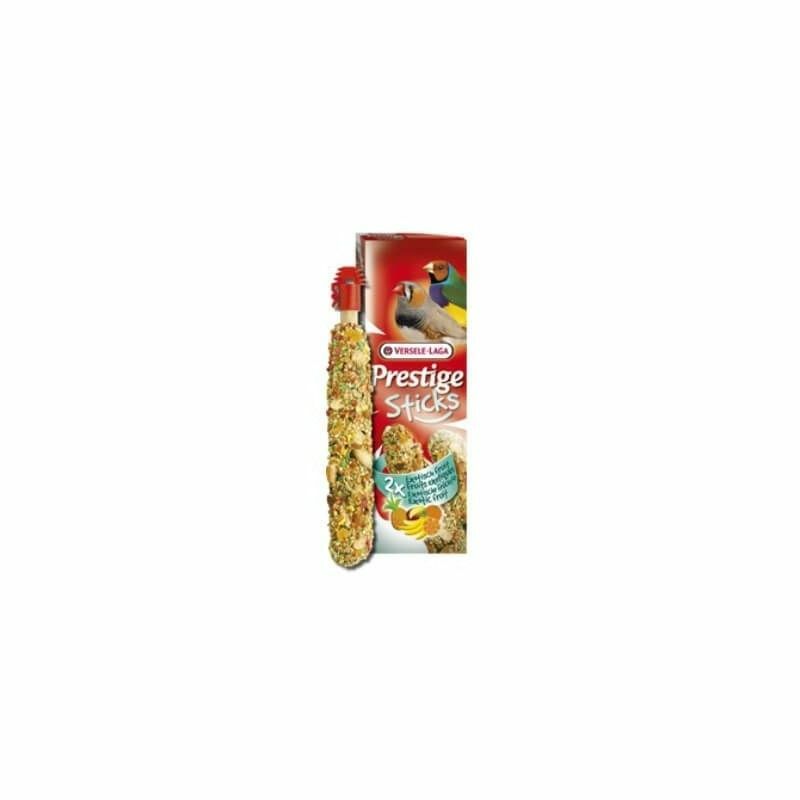 Treats for exotic birds very tasty and nutritious. 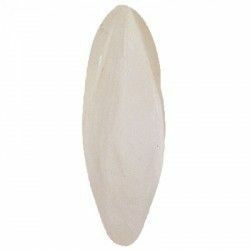 You will serve to make the diet of your pet more complete and varied. Keep them entertained and fight boredom. With the clamp "Magifix" you'll be able to hang comfortably from his cage. Air-tight container that retains all its qualities. 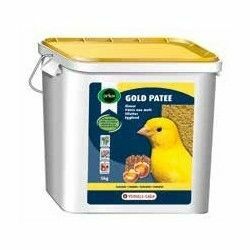 Treats for exotic birds such as diamonds mandarins or Gouldian finches to complete nutrients from their diet but are not a substitute to the food that you give them normally. Offer one or two sticks a week. Ingredients: cereals, seeds, bakery products, honey, sugars, fruit (pineapple, banana, orange, mango) (2,4%), oils and fats. Boxes of 60g (2 x 30g). 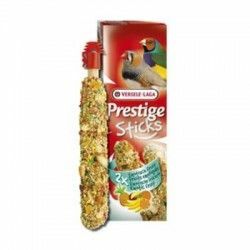 Make a gift to your pet in the form of a delicious treat for the exotic bird Versele Laga Prestige Sticks exotic fruit.